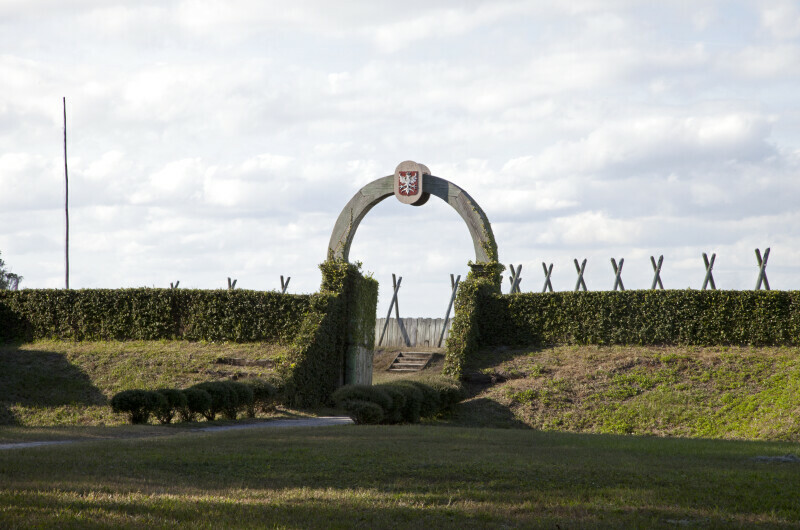 This picture shows the arched entrance of the reconstructed Fort Caroline. Fort Caroline was originally established in 1564 by the French and destroyed by the Spanish in 1565. WARNING: You are about to download a 58.7 MB TIFF!